The Firewipe is a textured, industrial strength disposable wipe infused with specialized compounds that cleanse the skin. Does a Firewipe prevent cancer? 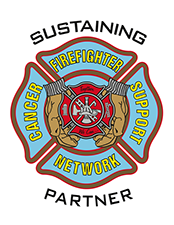 No, a Firewipe is used to cleanse the skin of hazardous fireground contaminates and minimize exposure time to potential carcinogens. How large is a single Firewipe? The Firewipe is 8″ x 12″ in size. What are the ingredients in a Firewipe? Please see our Ingredients page for more info. Where can I use the Firewipe? The Firewipe can be used on all external dermal areas. What is the shelf life of a Firewipe? 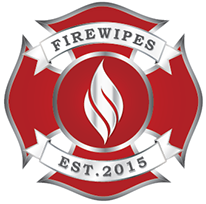 Firewipes are warrantied for 3 years from date of manufacture. With proper storage, they can last much longer. Please contact Firewipes directly with any warranty questions. Where to store the Firewipe? It is best to store them in a cool and dry environment. However, with their triple film packaging, they are durable enough to keep in most normal storage areas. The Firewipe is non-scented, which means there is no added scent to the formula. Can I flush a Firewipe? In a pinch, a Firewipe can be used on all external dermal areas. But due to the hydro-entangled design of the wipe, they are not flushable and should not be discarded in a Porta-Potty. Where can I buy a Firewipe? Firewipes® Please enter your information below and we will respond as soon as possible.